1. Seventeen communities in the state could run out of water in the next 60 to 120 days because of the drought, the Mercury News$ reports, citing a new state analysis. The communities include Cloverdale and Healdsburg in Sonoma County and the tiny Lampico County Water District in Santa Cruz County. State emergency officials may be forced to truck in water to the affected communities as their wells and reservoirs run dry. 2. The takedown of the old Bay Bridge is six months behind schedule and millions of dollars over budget, the Chron reports. The delay also means that the planned hookup of the bike and pedestrian path to Yerba Buena Island is behind schedule, too. 2. 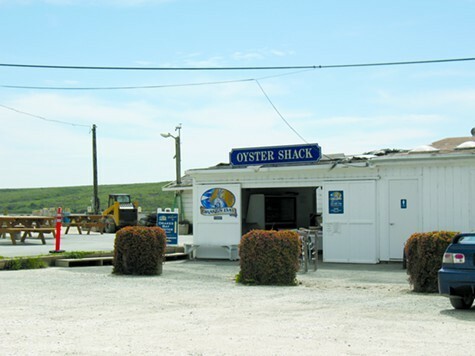 The Ninth Circuit Court of Appeals ruled that Drakes Bay Oyster Company in Point Reyes can remain open while the controversial oyster farm pursues its appeal to the US Supreme Court. The Ninth Circuit previously turned down two appeals from the company to remain open after the Obama administration decided to allow the farm’s lease expire to make way for the first marine wilderness on the West Coast. 4. The owners of the Fairmont Hotels chain are closing in on a deal to buy the Claremont Hotel in Oakland, Berkeleyside reports. 5. State Senator Rod Wright of Southern California was convicted of multiple counts of perjury and voter fraud for not living in his district, the LA Times$ reports. 6. A flock of threatened snowy plovers has surprisingly taken up residence on new sand at Crown Beach in Alameda, the Chron reports. 7. NSA whistleblower Edward Snowden has been nominated for the Nobel Peace Prize by Norwegian political leaders, Time magazine reports. 8. And legendary folk singer and progressive icon Pete Seeger has died.